In this guide, we’ll give you six actionable steps to prepare you for purchasing home equipment. Investing in your health is one of the greatest investments you can make. Let us help you start the process off right. You’re motivated and ready to take the plunge. 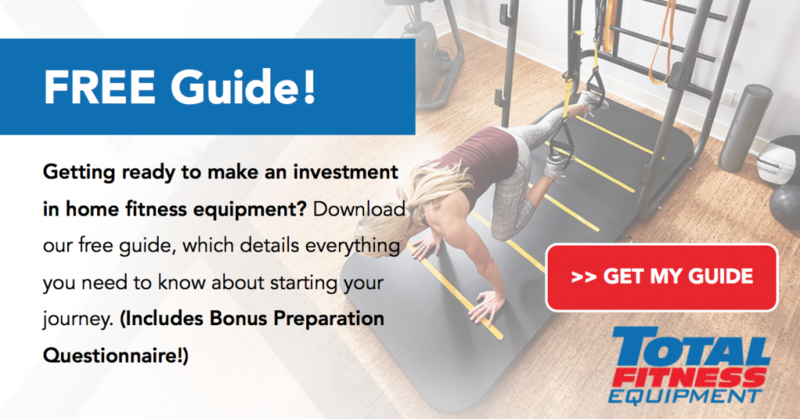 You’ve decided it’s time to make an investment in your health and purchase fitness equipment for your home! Now the big question … where to begin? Fitness equipment can be purchased online, through big-box stores, or at smaller local retail shops. Needless to say, it’s easy enough to find equipment for sale. The challenge lies within finding the right equipment based on your goals and individual circumstances. In this guide, we’ll walk you through some common considerations that should be made prior to making your purchase. Whether you’re looking to lose weight, recover from an injury, or get into bodybuilding, one thing is for sure. There’s a piece of equipment out there to help you achieve your goals! Having clarity on what your goals are will be key when you begin your journey of purchasing equipment. For example, if your goal is primarily weight loss, then cardio equipment is probably the way to go. Looking to build muscle? A universal strength training machine is probably going to be more your style. Again, regardless of what your goal is, you’ll want to pinpoint it before getting serious in your search. If you have physical limitations or are recovering from an injury, certain pieces of equipment will be more ideal for you than others. For instance, if you’re recovering from knee surgery, a stationary bike or elliptical would provide a safe solution for non-impact exercise. It’s important to know your limitations and to seek advice from your doctor before exploring your options for home fitness equipment. 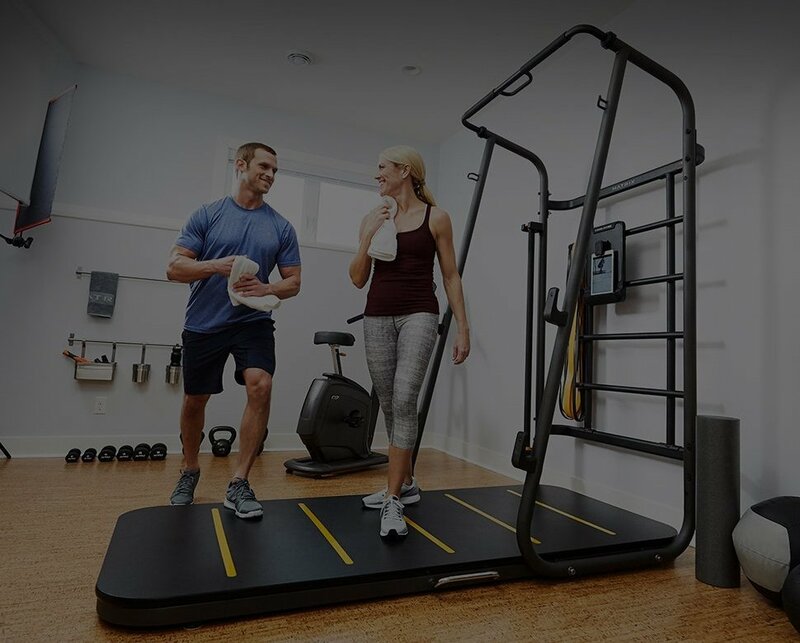 Just like most products on the market, home fitness equipment is offered at a variety of different price points. You wouldn’t go car shopping without a budget number in mind. The same should be true when shopping for fitness equipment. It’s also wise to do a little online research to help establish a reasonable budget number for your purchase. Just keep in mind, the old adage “you get what you pay for” absolutely holds true for home fitness equipment! 4. Space plan ahead of time. bedroom? Take some measurements of the space and plan ahead for how your new equipment will fit into it. And don’t forget to measure ceiling heights! You’ll want to add 10” to 15” (depending on the equipment) to your height to ensure you can comfortably use the equipment without hitting your head! What time of day will you be using your home fitness equipment? What will your exercise regimen be? How long will your workouts be? Formulate your program and schedule in advance! You should have a general understanding of how your new fitness equipment will be incorporated into your daily routine. Having clarity on these details will help you get in the mindset of making time to workout at home. This is especially important if you’re not familiar with working out on equipment. Make sure you have a plan for getting trained on using whatever type of equipment you purchase. Using proper form is critical if you want to avoid getting injured. And while YouTube and Instagram have an abundance of workout videos to help you visualize different exercises and techniques, having a qualified fitness professional teach you how to use your specific machine is always best. Purchasing home fitness equipment doesn’t have to be a stressful experience. All it takes is a little planning ahead! To help you organize the process, we’ve developed a questionnaire that will help you better define the type of equipment best suited for you. Simply fill it out on the next page and bring it along when you’re ready to venture out and shop!